You are the driving force that enables Deliver the Dream to support families in hometowns across America. Our generous donors, event participants, and dedicated volunteers are the heart of DTD’s retreat programs. We need you more than ever to help our families who are counting on us. Throughout the year, Deliver the Dream special events are a fun way to join your community in raising vital funds and awareness in order to support our families. Events include those hosted by Deliver the Dream and community events, hosted by third-party organizations, that benefit Deliver the Dream. Please join us for events in your community. This annual event unveils some of Fort Lauderdale’s most eligible bachelors and bachelorettes on the auction block to raise funds for Deliver the Dream. These philanthropists have huge hearts, to take time out of their busy professional careers and make the time to put community first. At our event, guests have the opportunity to meet this elite group of men and women and bid on auction packages. A fun Happy Hour Event to support Deliver the Dream! Join us for some drinks, a bite to eat, and some amazing networking. Watch our Calendar of events page and social media for the next Drinks for Dreams Happy Hour Event. Attend our annual Red Hot Party for the LGBT Community. Our bachelors and bachelorettes are stepping onto the auction block with exciting date packages to raise funds for Deliver the Dream. In addition to our date auction, guests can enjoy drinks, a silent auction, and raffle…. just keep bidding until you hear, SOLD! Attend the greatest bowling tournament of all time! Get your team together to compete in Deliver the Dream’s annual bowing tournament, or be a spectator and participate in the silent auction and themed trivia games. All guests will enjoy food, drinks, and more. Just remember, bragging rights only last for a year! 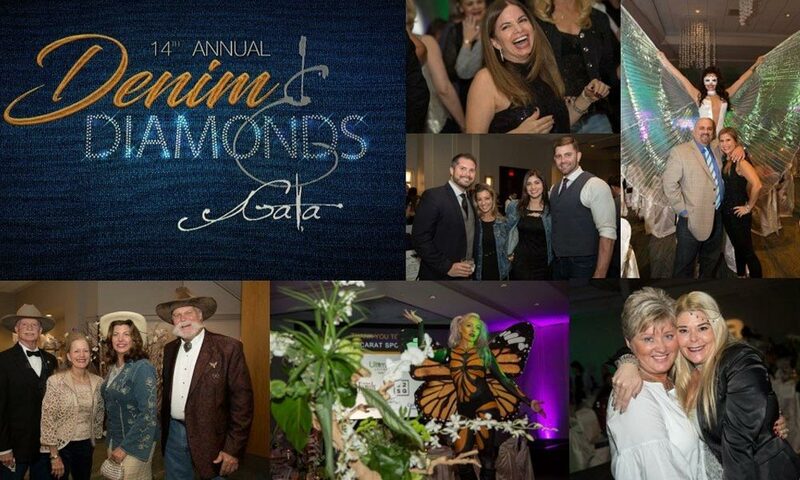 The Denim & Diamonds Gala is Deliver the Dream’s signature event. This year will mark the 16th year for the Gala and is sure to be an evening to remember. Guests dress in the comfort of their best denim, paired with formal attire, and yes… even some diamonds. The signature event features an elegant cocktail reception, followed by a delicious dining experience, surprise entertainment and a silent auction. All funds raised support the Deliver the Dream mission, helping families heal… one retreat at a time. Click here to view all our current and upcoming events.